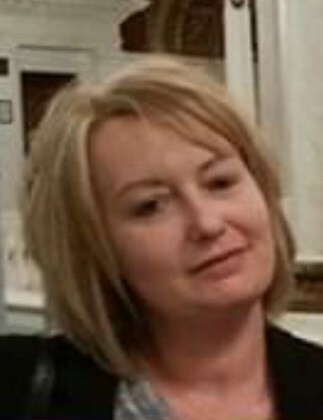 Jennifer Rebecca Karijomenggolo, 47, of Harrisburg passed away Friday, March 29, 2019. Born December 29, 1971 in Harrisburg, she was a daughter of Ernest Samuel Enders of Halifax and the late Mary Kay (Keiter) Parker. She was a member of Lennox-Gastaut Syndrome Foundation and Cerebral Palsy Foundation. In addition to her father, she is survived by her husband Dehl Karijomenggolo; daughter Keira S. Karijomenggolo; sister Melissa L., wife of R.J. Jenkins of Harrisburg; aunts Carol, wife of Ronald Stoneroad and Janice, wife of Ken Geyer; nieces Ashley N. Jenkins and Taylor A. Jenkins. Liturgy of Holy Eucharist with the Rite of Christian Burial will be held 1:00 PM Saturday, April 6, 2019 at Shells Evangelical Lutheran Church, 287 Shells Church Road, Grantville preceded by a viewing from 11:30 – 1:00 PM at the church. Interment in the adjoining Shells Cemetery. In lieu of flowers, to offset funeral expenses, contributions may be made to Buse Funeral Home, 9066 Jonestown Road, Grantville, PA 17028.